It took me some time to get back into the groove of taking photos of my 'normal' everyday life. Maybe I was still stuck in Big Sur, or maybe it was because I was still trying to get over that wicked crud I picked up before or while we were on vacation. But thankfully, that lack of stimulation I felt didn't continue to influence the entire month. After what I went through to get home from California, believe me, I was happy to be back in familiar surroundings. One thing we noticed upon our homecoming was the metamorphosis that took place in our yard while we were away for 9 days. The waist-high grass aside, so many beautiful trees, bushes, and flowers were in bloom. A dogwood tree, a blazing neon pink azalea bush, iris', phlox, & buttercups......you name it! Once the yard was mowed (with the help of an awesome neighbor!) 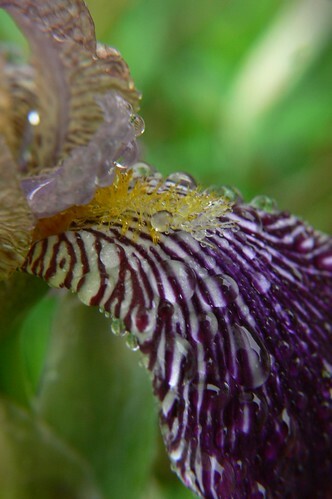 it was so exciting to walk around and discover the new life springing up everywhere. Because inspiration was located right outside my back door - although unintentional - the theme for the month became FLOWERS. Which over the next few months may just be reoccurring since I love them so much. And because I have a splendid new NC Wildflower Hike Book that points us to the good stuff!! Either way, I am thrilled that I am back to my old ways where taking photos seems like less of a chore, and more of a necessity. 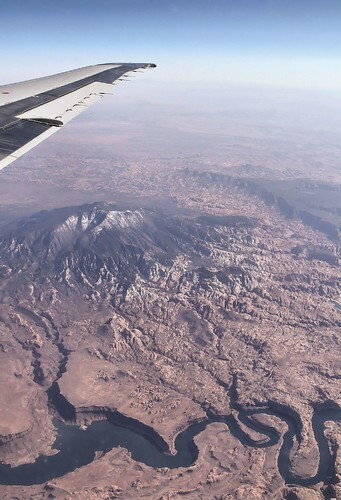 I like the picture from the plane. Is that the Snake River? My favorite is here comes choo choo. I love how the hand is glowing. I love to hear people who are even more enamored with pretty nature than I am. You're pretty inspirational. Choo Choo as in train?????? ar didem's put your bib back on.i be as daft as you????? I also love the picks from May! Especially the plane. I swear I've seen the same scene (ha) before. a little bird: If you've ever went from CA to TX, I bet you have!! Interesting that greg c wondered if that was the Snake River, because I was going to ask you if it wasn't Mount St. Helens. It really looks like it, the blasted out section and all - but I'm not sure about the rest of the terrain. Mike and I climbed St. Helens, a great climb! I've also flown over it in a private plane. Could your route have taken you up that far, though? Also, agree with carmen about the hand in choo choo - that's what struck me. Very unique shot! 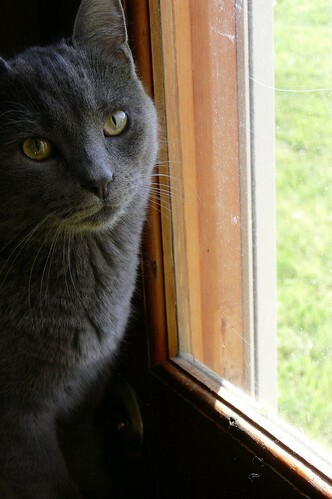 Also, Moses is fantastic and looks like my gray 1-yr-old cat, Shiva Lullaby. I must post a picture of her on my blog one of these days. You have some gorgeous photos - I love the "choo choo" photo! Nice work! Hi Jessica been going over that shot from the plane right time right place wonderful pic. but you must stop hanging out of the window. 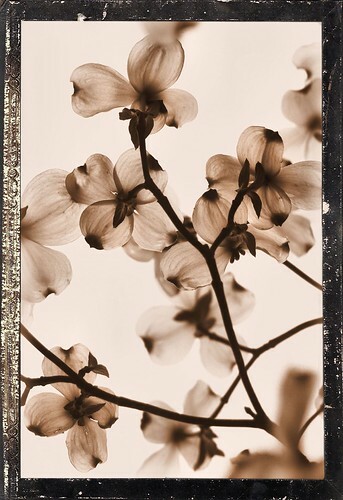 I am going to be different and say my favourite pic is “Sepia Blooms”, I like the tones in this and I think the border gives it a really nice finishing touch. I can imagine it hanging on a wall. So glad that you're using common flower names instead of the Latin ones. 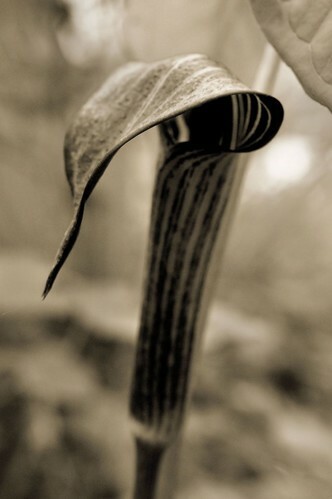 I love names like Jack-in-the-Pulpit (great pic! ), Johnny Jump-ups, Snow in Winter, Lily of the Valley, Pearly Everlasting, Rosy Pussytoes, etc. It's like they all have their own distinct personalities. Gorgeous as ever! I really like the sepia blooms. I would love to have that hanging in my living room! I bet it has been hard to leave Cali behind. It seemed like such an amazing trip. 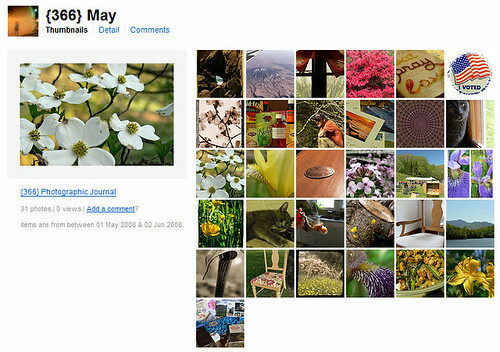 I love the picture of the dogwood...I would love to see one of those trees in bloom. AND your cat Moses is just the cutest. I had a Grandmas Moses (sounds corny I know) and she loved cats!!! lydia: Not sure about Mt St.Helens, who know what we flew over, those pilots only tell us the weather! haha Moses has a brother Ely, and he's just as silver/gray. Shiva Lullaby is a really unique name btw :o) Our boys were named when we adopted them. liss: I should really have some of my own shots hanging on my wall! Sepia blooms is one I can visualize as such, glad you think so too! 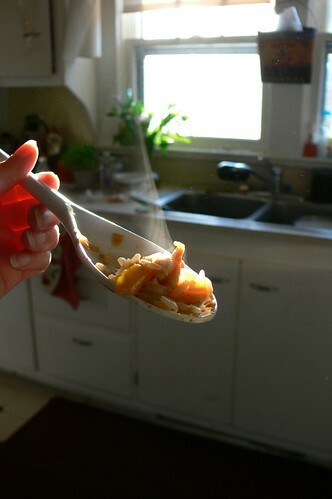 nuri: The light is what caught my eye when I was cooking, and the smoke looked pretty neat to me too!